On Wednesday, July 17th, 1991, the newly renovated Palace Theatre in London Ontario opened its doors to live theatre for the first time since its construction as a silent movie theatre in 1929. An appreciative, sold out audience that included volunteers, LCP members, local politicians, members of the media and dignitaries were treated to a very lively production of Allan Stratton’s acclaimed comedic farce Bingo! Converting the former Park Theatre back into the Palace Theatre was both an act of determination and faith. The Purchase and renovation was made possible, with financial assistance of $240,890.00 from the province of Ontario and $100,000 from the City of London and with the $250,000 generated by the sale of the old playhouse on York Street, as well as private, corporate and foundation donations and fund-raising money. In November of 1990, London Community Players purchased the Park Theatre for $550,000 and committed $600,000 to renovations and refurbishment. LCP had been founded in 1974 and were the owners and operators of the Playhouse Theatre on York Street. LCP, had been exploring options for expansion for several years, and the Park Theatre offered the potential for current and future needs. It was thought the Park, which was about 8 times larger than the Playhouse, would provide the space requirements needed for growth and development. Twenty eight years later our programs and the scope of our theatrical productions have created the need for offsite space for rehearsals, costume storage, and set building, as well as a second black-box theatre venue in our adjacent Procunier Hall. Along with the building, LCP also acquired an impressive chunk of local history. The purchase of the theatre included the original blueprints from 1929, and they were a major asset in the restoration and historical designation of the building in 1991. The ticket booth in the Lobby and the marquee on the front of the theatre were re-created from the original blueprints. The property where the theatre now sits was the original location of the “Jubilee Home for the Incurables”. This “infirmary” was operated by the Women’s Christian Association from 1896 until the 1920’s, when it was relocated to Grand Avenue and renamed Parkwood Hospital. When the new orchestra pit at the Palace was excavated, the foundation walls and basement floor of the original Jubilee Home for the Incurables were discovered, just a few feet below the auditorium floor. The Palace Theatre originally opened as a silent movie theatre in March of 1929, just prior to the stock market crash in October of the same year. It was the last theatre built in London until well into the 1940's. The first movie to grace the screen when the theatre opened in 1929 was the silent film Synthetic Sin, featuring Colleen Moore as “a good little bad girl who wanted to sin and suffer”. The shift to Talking pictures and the advent of the great depression, saw the owners of the property, Hyatt Brothers Construction, leasing the building to Famous Players and ultimately to 20th Century Theatre. 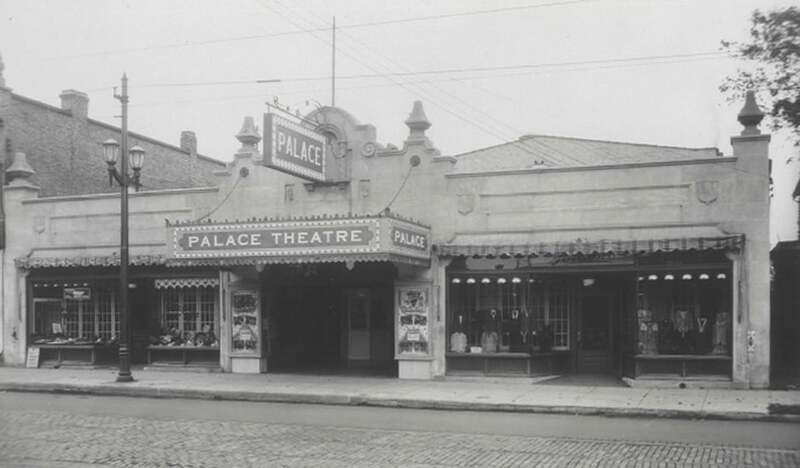 The Palace operated as a neighbourhood movie theatre throughout the 1930's and 40’s showing popular movies such as The Gay Divorcee with Fred Astaire and Ginger Rogers, Return of the Cisco Kid with Jimmy Durante, A Foreign Affair with Marlene Dietrich and Something for the Boys starring Carmen Miranda. It was the habit of the time to hold small talent shows on Saturday afternoons during the intermission between movies. Many people over the past 20 years have told us they tread the boards at the Palace as a child, doing their stand up routine, and winning a small prize. In 1948 the building was sold to Famous Players and underwent considerable renovation before it reopened in 1951 as the Park Theatre. This renovation saw the removal of much of the theatre's original ornamentation, including the original auditorium chandeliers, and its “modernization”, to a 1950’s style cinema. A large wall-to-wall cinema-scope curved screen was installed over the north end of the auditorium, sealing off the access to the Palace stage for what was to be eventually almost 35 years. The newly renovated and fully air conditioned Park Theatre had audiences lining around the block, to enjoy such classics as Ben Hur, My Fair Lady and The Ten Commandments. The Park was considered a first run theatre, and was the venue of choice for such blockbusters as the Star Wars: A New Hope and Raiders of the Lost Ark. The trend toward multi-plex theatres in the late 1970’s and 1980’s led to a decline in attendance at the Park, and finally the old theatre closed its doors for the last time in September of 1989. In the months that followed, the theatre was refurbished as much as the renovation budget allowed. Malhotra Nicholson Architects and Patrick & Enright Construction were retained by LCP for the redesign and major reconstruction work that needed to be done. Remodeling a 62 year old movie house into a performance centre was a major undertaking and with July 17 as the deadline for the opening fast approaching, volunteers were pressed into service as much as possible to keep costs in line. Thousands of volunteer hours went into ripping up carpets, patching floors, building counters, repainting the front lobby, priming and painting the backstage area, removing the acoustic tiles from the auditorium walls and in general moving the entire collection of Playhouse props, wardrobe and technical department from the old theatre to the new. The Palace Theatre Main Stage now has room for 350 patrons – a considerable increase from the 99-seat York Street Playhouse; but a considerable reduction from the original 1929 capacity of just over 600. The renovations saw the construction of a new stage, thereby shortening the auditorium by 40 ft. The new stage allows for large theatrical productions, as well as musicals and dance shows. The backstage of the Palace is housed where the original stage and fly tower were located. A workshop and green room are located on the main floor, and a four story stairwell accesses dressing rooms and the Stage lighting grid. The dressing rooms all have en-suite washrooms and as more than one veteran actor has commented, this is a decided improvement over the outside accommodations for the cast at the Playhouse. The addition of a self storing movie screen at the front of the stage and a movie projector in the technical both has reinstated the Palace's movie watching capabilities. Since the initial renovation in 1990/91, LCP has continued to refurbish and restore the theatre. A condition of the provincial grant that LCP received in 1990 required that a certain amount of the money would be applied to the purchase of original works of art. The LCP art selection jury decided to commission local artist Christopher Wallis to design a series of five stained glass doors which now hang in the lobby, separating the entrance lobby from the concession area. The two buildings on either side of the main entrance to the theatre were built at the same time as the theatre and complete the street facade. 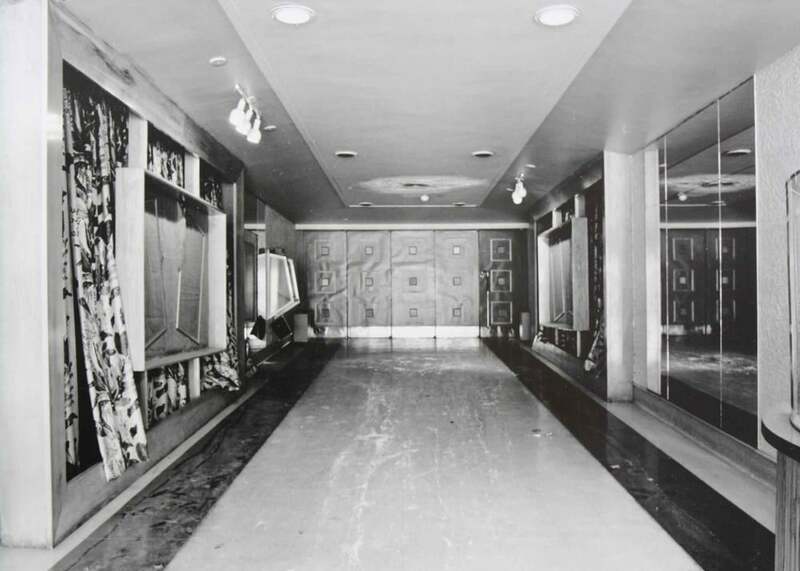 In 1929, when the theatre opened 708 Dundas was originally The Palace Ice Cream Parlor, and 712 Dundas was a clothing store, then by 1935 Young’s Jewelers Second Location. In 2011/12, 708 Dundas was renovated into Procunier Hall. A small theatre or event space, Procunier Hall has been designed to accommodate everything from small parties to intimate performances. The Hall has seen several successful shows in the space and many events are planned for the future. The West Storefront, 712 Dundas, was renovated in 2010/11 into our Box Office and Maryse Leitch Hall, a small meeting room/rehearsal hall. After 28 years of being owners of the Palace Theatre, and 44 years since the founding of London Community Players, we currently operate a comprehensive youth program year round, London Youth Theatre Education (LYTE) as well as continue to present six Main Stage shows, a Procunier Hall Season, and our latest addition, the New Stage Program - not to mention the score of rentals and co-productions that grace our stages each year. London Community Players and the Palace Theatre are where Londoners truly play a part.